Set how fast you want to click with Plus and Minus . To start clicking press Start . When you're done, press Stop . Simple as that! 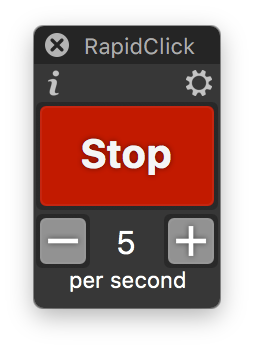 RapidClick is available on the Mac App Store. Watch the demo video showing RapidClick in action. The start/stop button floats above all apps, even full screen games. 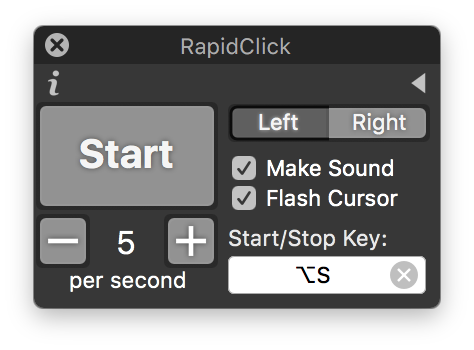 Latest version: RapidClick v1.4 (opens in Mac App Store). Requires macOS 10.9 or above. For older versions of macOS: RapidClick v1.3.4 (zip file, 0.4Mb). This version works with OS X OS 10.6, 10.7 or 10.8 only. 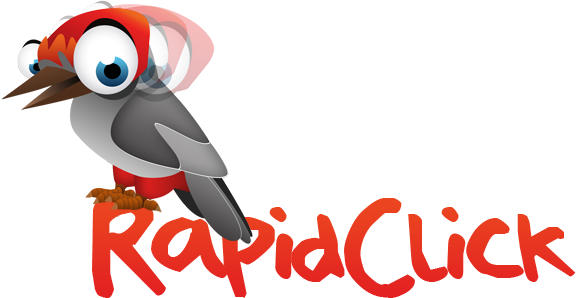 If you have any questions, feedback and suggestions about RapidClick, email Nick Moore at support@pilotmoon.com.